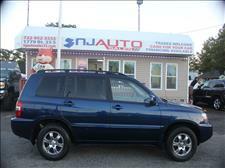 Great service entire staff was excellent and my salesman ABE and HABBY was outstanding! Place was great, friendly staff. They we extremely polite and friendly best place to go. Bought my S4 from them beautiful, Smooth and fun to drive. 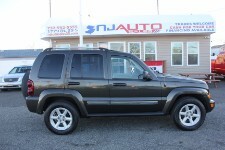 Thank you NJ auto sales I will be going to you guys for the next time I get another vehicle. Excellent customer service. 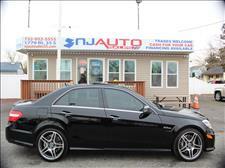 Im loving my E63 AMG!!! This was worth the drive. Thank you to the buyer for really getting a gem. I feel lucky. Very honest dealer and market real inventory. They don't charge extra fees. 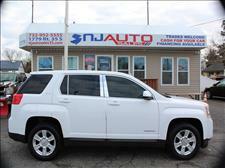 We love our new GMC terrain. My daughter is next. See you soon! I just bought a new car here. Very pleasant people . Nice place to look for your new car. 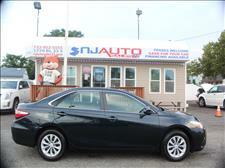 Just bought my Toyota Camry from NJ Auto Sales and very happy with my purchase. Its a beautiful car and runs great! My dad sent me here and im glad he did. Ill send my buddies over to you guys very trust worthy! 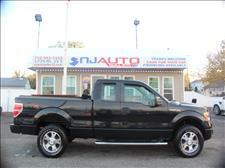 Just bought a Ford f150 from sandy. She got me a great interest rate and was extremely professional. She worked really hard to get me the best deal possible. I highly recommend this dealership. Thanks again sandy for the awesome truck. Was interested in their 2017 Hyundai Elantra that was available on their website. Called and asked about prices and Sandy was super helpful. Great customer service and really made me feel like she cared about me getting the best price I could get.The price they gave me was accurate the whole way through and they never tried to rip me off or upsell me in anyway. 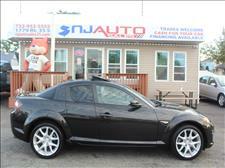 I would greatly recommend if you're looking for a good car for a great price. I just bought my second car in 5 months from this dealership. I couldnt be more satisfied with the treatment i received here. Habby is straight forward and will do everything possible to make sure you get the best deal possible. I HIGHLY RECOMMEND THIS DEALERSHIP. Amazing dealership! If your a first time buyer, then you definitely need to buy from these guys (and girl). 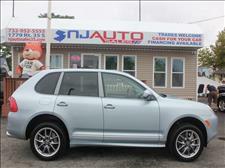 They make sure that you get the best deal for the car that you want and that you are happy with it. I would highly recommend them to anyone who is looking for a used car. We purchased two cars from Habby and his beautiful wife two years ago when we lived in New Jersey. They both went above and beyond the call of duty to flawlessly facilitate the sales process. Wonderful people with lots of integrity. 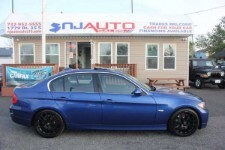 We still have both cars and have had no issues with the exception of standard car servicing. 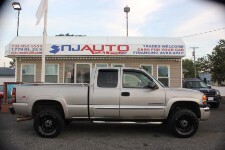 We currently live in Minnesota and without a doubt, when the need arises or we want to upgrade, we will return to New Jersey Auto sales. Very good customer service. I got a great financing deal???? Fantastic people, great cars. We bought a used car there for my daughter a few years ago and it's still running great. Would definitely buy another car there. It’s was great very nice cars and great people too! There is something on this lot for every budget. The majority of the cars seem to be older models of high-end vehicles. They all appeared to be in pristine condition. Sandy helped us find the car that was perfect for us. She was helpful and knowledgable without being at all pushy. It was the most pleasant car shopping experience I have ever had. Thank you to the great staff at this great dealership. They really tried to get me the best deal they can and very honest people. 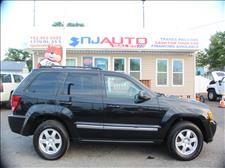 I love my new Jeep Laredo and will be sending you guys lots of customer. You don’t find a dealer that is on the customers side. 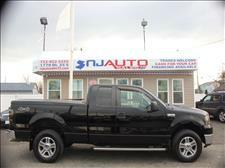 Thanks guys for my new truck! This was my first time buying a car and my experience was great! 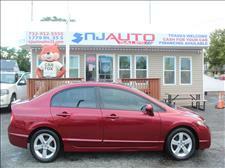 I bought a used 2011 red Honda Civic. It was basically brand new! 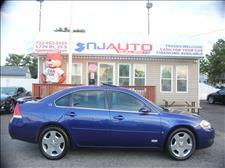 It only had 47,000 miles with minimum stratches, extremely clean inside, tinted windows, and it was only 8,999. 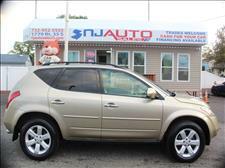 At first the value on the car window said 9,999 but the online price was 8,999 and Sandy honored that!! Even after the tax and dealer fees ( which is the lowest I’ve seen) the total price was still under 10,000 Took my car to the machanic to get it checked out and he said everything was good and I got the car for a steal! This was a great experience and I can’t thank Sandy enough for all of her help! I highly, highly recommend buying a car from them!!! Love these people. Always friendly and most of all patient. Am truly happy with my purchase at this place. A special thanks to Steven and Sandi for their expertise in this business and for their patience with me. ?? 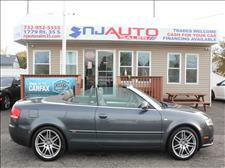 NJAuto Sales Route 35 made my wish come true. Habby and Sandy were very attentive!!! They were happy to help me find what Car I was looking for at the price I could afford. 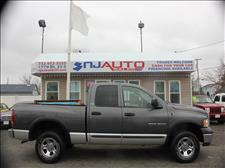 With all the car dealers on route 35 the best deal was found at NJAuto sales . The lady was very professional and answer all my questions in detail. I love my car! 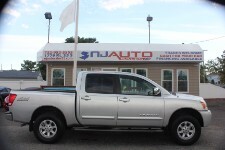 Really Nice Dealership our salesman Steven worked above and beyond the call of a salesman to get this Deal done for us we thank him very much!!!! My family and I had a wonderful experience car shopping with Sandy and Habby. 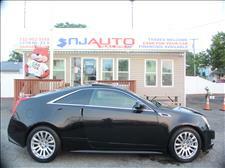 They have a great selection of clean cars and a family friendly atmosphere. They gave me plenty of time to thoroughly look the car over and under and plenty of time to test drive it. They are true professionals that inspire confidence and trust. Habby was awesome to work with, knowledgeable and straight forward. 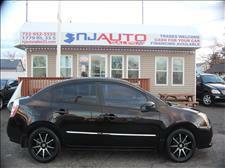 If you are looking for a car be sure to check them out. I had car for 3 months I always wait before writing a review I'm a very skeptical person to begin with. 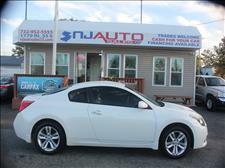 Very friendly got approved for a low interest 6% rate drove out in about a hr with a new car. 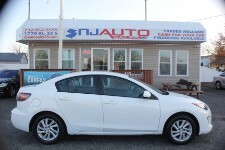 Very good customer service and great selection of cars. 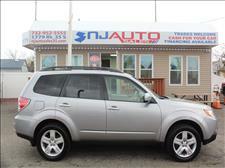 I was able to finance a beautiful 2010 subaru forester and on social security! Amazing job guys. I love my car and will be back for another one for my wife. Thank you! Great folks to deal with! Sandy is really helpful. Best place to go in town. Prices are fair so support local business! Drove 2 hours to get here, great service from Sandy! Got an awesome Lincoln, was totally worth it! I bought a Range Rover, my dream car with them and I didn’t think it would be as easy as it was. Everyone was so nice and supportive and within the day I was able to buy the car with no problem! From the first moment everyone is very friendly and respectful. This is the second time I buy from here and I will be back again and again. I recommend this dealership to anyone who wants a great deal and great customer service. I dont mind even helping a customer out to bring them and introduce to a great team. They even offer me coffee and snacks. On top of that they got me a great finance deal. 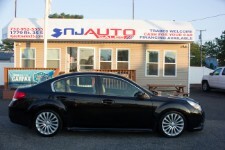 Thank you NJ Auto! Great people, good deal, and awesome car! 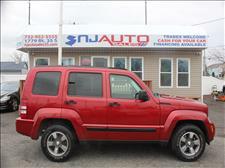 Coming back once I pay this jeep off for the new one you guys will get me. Thank you for selling me a great car. 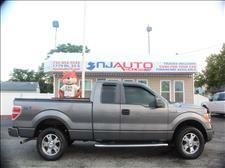 Excellent service, very honest and friendly...my Husband and I were in and out quickly when purchasing our truck. We are very thankful for them. I have to command Habby and Sandy for up keeping a great dealership with good inventory. We definitely will send people there to buy a used car. Great staff. 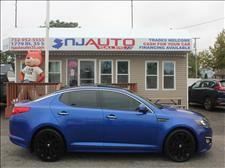 I bought a beautiful kia óptima. Great car. I would recommend this place to anybody. One of the most amazing car buying experience!! 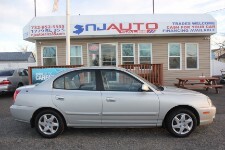 Sandy was absolutely awesome from beginning to end and everyone there was super friendly, honest, upfront, knowledgable of the car(s) they have as well as the one I bought, answered all my questions and it was fast. 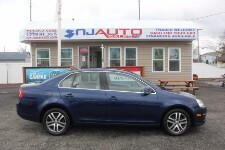 I was in and out with a new car in about an hour, drove the car home and they handled everything with ease, I never ran into an issue or problem when dealing with them... I got a GREAT deal as well... Habby and Steven were also great, always greeted me with a smile and I always felt welcomed and happy to be there. I HIGHLY recommend everyone who reads this to go there, I know I will be recommending them to all my friends and family and if the opportunity arises and I want another car I’m going straight to them. You’ll absolutely love this place, the people, and the cars they have. They’re in great condition and honestly priced. 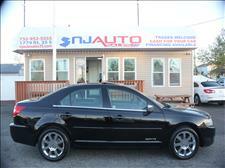 Go to NJ Auto Sales!! 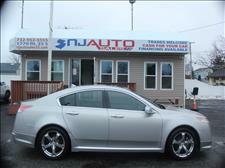 New Acura TL Type-S owner, Ligia G.
The folks here at njautosales are extremely friendly and professionals at what they do. 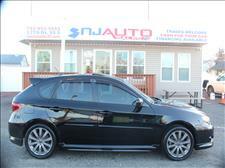 Steven made it easy as 123 for picking up our second WRX. Highly recommended and will return for future purchases!! 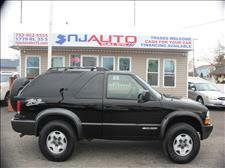 Went there today and purchased a Chevy Tahoe 2002 . 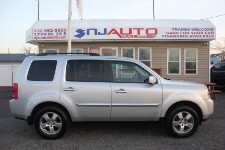 They have such a good line up of used cars in excellent condition . Sandy was awesome very sweet and thoughtful young woman she made me and my fiance feel comfortable. I definitely would recommend this company. I had a great experience working with Sandy and Steven. Steven and Sandy are the perfect two for this dealership. 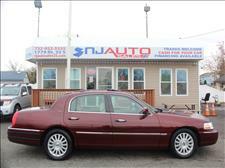 They were friendly and very helpful on the purchase of my 2003 Lincoln Town Car. I definitely will recommend doing business with them. They are the best. Thanks Sandy you were great. ???? I do appreciate the attentiveness of the staff. Very courteous and very professional. Although, there is always a ding where people can improve, they worked very hard to earn my business. Whatever the issue was, they went the extra mile to make sure I was very satisfied with my purchase. That being said, the only recommendation I could submit as an improve is making sure the keyfobs and wiper blades are in good, working order. It was something I pointed out and assumed it would be fixed, but its a minor issue since the car had no major defects and the customer service of the staff generally was more than enough to get me to overlook the minor defect. 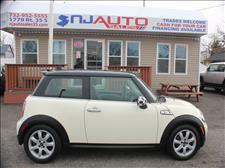 The car is great and depending on when I decide to upgrade vehicles, NJ Auto will likely be my first stop to shop. 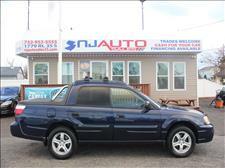 Just bought a great & nicely prepped SUV with the help of Sandy, who was very helpful & knowledgeable. Thanks for helping us get our grandson a beautiful first car. Such an amazing experience. I highly recommend this dealer. The buying process was quick and easy. The deal literally took minutes to finalize and about 20mins to complete. I can not stress how amazing this dealership is. 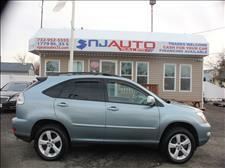 I purchased a Toyota RAV4 from NJ Auto Sales. Sales Associate Steven was very helpful in making this happen. I was impressed by the personal attention and efficiency of this dealer. The manager, Sandy, was very knowledgeable and willing to accommodate my needs. Also, Mina, was very helpful. All in all, a great experience. 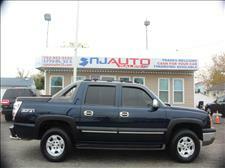 For my next automobile purchase, I will start my search with NJ Auto Sales. Today was best day of my life I have to say today was wonderful experience First of all the gentleman that approach us his name was Steven treated me and my mom wonderful he had a lot of knowledge and was very helpful helping me find the car that I needed also want to express how all the staff was very welcoming and very professional I highly recommend them .. thank you again !!! 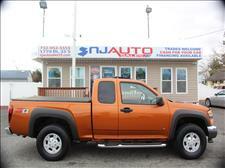 I just purchased a truck that I found on the website from this dealership. 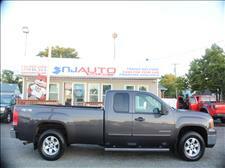 The truck looked great in the photos online and even better in person (not always the case at other dealerships). 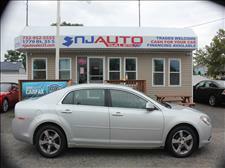 Steven assisted me and he is very friendly and knowledgeable, I would recommend dealing with him directly if possible. 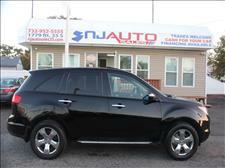 This dealership is up front and willing to work with you in order to meet your needs. Great service here at this dealership and they are very friendly. Even when I thought I would have a hard time financing they made it so easy. Steven was one of the nicest people I know and helped me make this deal happen. He made sure that I was always happy and answered any questions I had. Sandy made the paperwork easy and understandable. 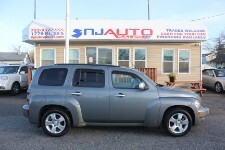 I would recommend this dealer to anyone and appreciate the great service I received here. Just had the BEST experience buying my first car! A big thank you to Steven for making this process so smooth and being super reasurring. I got an amazing rate with an awesome monthly payment. 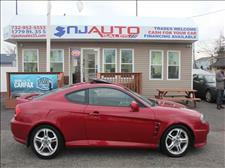 I would definitely recommend coming to Nj Auto Sales if you’re looking to buy a car! Steven was amazing! My experience at this dealership was amazing. The salesman Steven was the best he showed me several trucks in a snow storm! He was very professional and knowledgeable about all the vehicles. 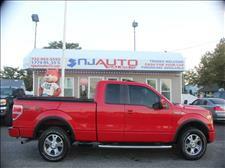 He worked with his manager Habby to get the best deal on a gorgeous fully loaded truck. The process was easy and I even got much more than expected on my trade. I love these guy would highly recommend this dealer to anyone. 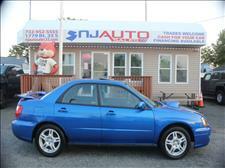 I purchased an 05 Subaru from NJ auto and the car came as advertised; beautifully detailed and well maintained. The real treat from this experience was dealing this the sales team, they went above what would be expected while buying a car. They were very up front on pricing and fair. I also had a trade in which they gave me a great price considering the condition. I would highly recommend purchasing a car from them again. Purchase went great, out of state buyer, they held car till I was able to fly out and pick up the car. Everything was as planned, they (Stephen) even picked me up at my hotel. Love the car, experience was 5 star. 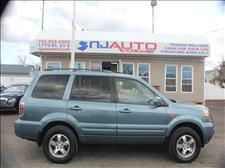 has quality vehicles with good prices would buy another one, all vehicles go quick . All the staff where courteous and professional. 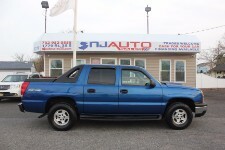 Steve did a great job answering all my questions about the vehicle I purchased. 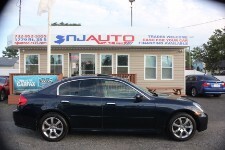 I would recommend purchasing a vehicle from NJ Auto. Habby & Steve were really nice people to deal with they were not pushy and very patient and they followed up quite well overall I would rate the dealership as fair as you can possibly get . 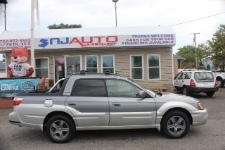 They have a nice selection of cars of all types most of them seem to be in very good condition so it serves as an option for you that can't afford new. Overall, nice experience. 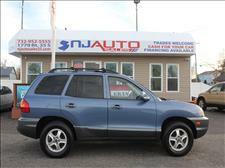 We've been shopping for a used SUV for a little while now. Hate going to Dealers and dealing with pushy sales persons pushing you into a deal. 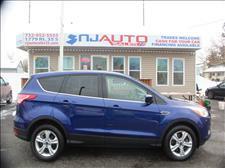 Went to N.J. Auto Sales and found our experience there to be exceptionally pleasant!! No pressure to buy. Steve was friendly and had patience with us in checking out Suv's and test driving them. In the pouring rain no less!!! 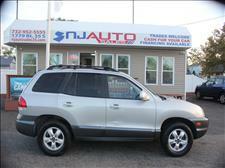 Great inventory of quality vehicles. 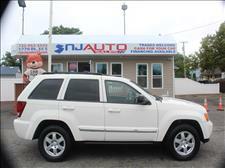 We purchased an awesome SUV at a Great Price!!! The manager Habby is awesome!! Got us a great finance rate to keep us in our budget. Need I say more? 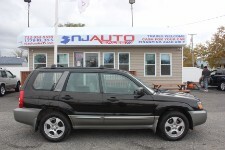 If you're looking for a great deal on cars, go see the Staff at NJ Auto Sales. You won't be disappointed!!! 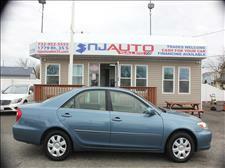 I am a first time buyer and I must say Steven Awad is the best sales man I have meet. He was very patient, kind, and finds you the best deals thus far. 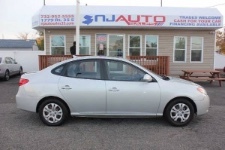 Steven took great care of me when it came to finding a great car deal and was very patient. I am pleased to say that anyone looking to build credit or buy a car ask for Steven he is a walking blessing and a great sales man. Thanks for everything! I was very pleased with the level of customer service at NJ Auto Sales. All of the staff members are very friendly. I did not feel pressured into buying a vehicle. 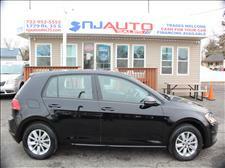 The staff was very patient with helping me select a vehicle that suited my needs as well as my budget. I was able to drive my new car off the lot the same day. 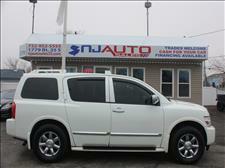 The inventory was very diverse and the vehicles are well kept. 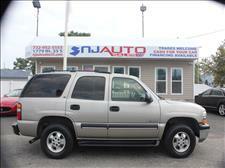 Over all i would recommend NJ auto sales to my friends and family members. 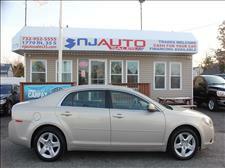 I am very happy with my 2012 Chevy Malibu. 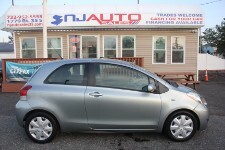 Thank you NJ auto sales! Without question this was among the best car buying experiences I've had and I've owned quite a few vehicles. The staff is very friendly and their customer service is excellent. Pricing was very fair. The vehicles are all very clean and expertly detailed. Overall excellent dealership and I'd recommend them to anyone and I'd buy another vehicle here no question. Habby and everybody we dealt with at dealer, were just amazing! Kind, courteous, knowledgeable and helpful! 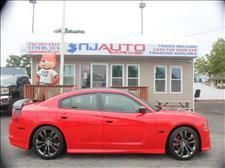 Great dealership and people, can?t say enough! Steven was awesome! Super helpful and nice! 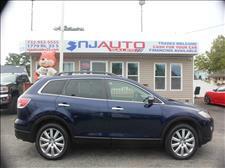 I purchased a Used Acura MDX 2009 model from NJ Auto and the car is very good condition and a very good price as well. They are good in doing all paper works for you. I was feeling very easy and comfortable with them. 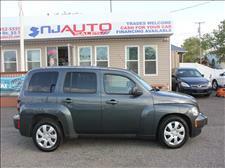 I feel good buying a car from NJ Auto. 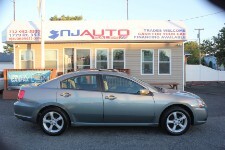 Bought a car from NJ AUTO SALE last week, steve is super nice and kind, provided me with a super smooth transaction. Definitely go to Steven if you want to purchase a car, he's the man. 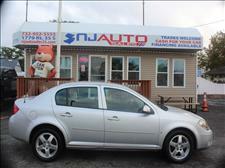 Great place to buy a car great people great interest rates and your in and out! Ask for Steven and get on the road! 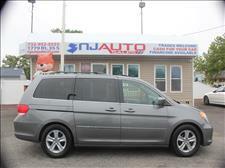 We just had the absolute best experience with Steve at NJ Auto Sales. 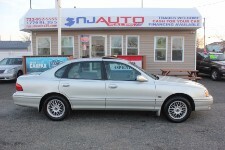 He took the time to explain everything about the car and the financing. I will be coming back to buy my next car from them. Family own and they about the customers. They will get you the best deal. They beat every one else prices. I have been to a couple of dealerships this was the best one! Steven helped me a lot and made this deal work. He was very professional and helping with everything. There cars are very clean and have the best carfax. Everybody was very friendly and helpful completing the process. I was able to get a very low APR and cheap monthly payments. 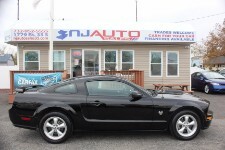 Thank you Steven and everybody at NJ Auto Sales!! EXCELLENT SERVICE AND THE PEOPLE IS VERY PROFESSIONAL AND FRIENDLY. We are very happy and we would you recommend! Very attentive staff... the experience was actually pleasurable. Highly recommend. I was completely surprised by the level of professionalism with everyone from this dealership. They have all helped me trade my vehicle in and get into another amazing car that I can afford. I didn't believe at first it would work but they made it happen. Steven helped me with everything and made the process easy. He explained everything to me and was very patient with me during the process. The managers Habby and Sandy helped assist with the paperwork and made everything understandable. I would highly recommend them! 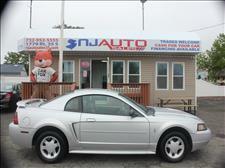 Thank you NJ AUTO SALES for helping me get a beautiful clean car that I can afford. Great experience. Habby and Sandy couldn't have been nicer to deal with. 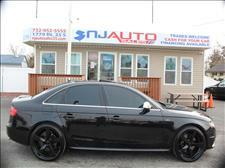 Would definitely recommend buying a car at NJ Auto Sales. Bought my first car here and I love it. Great people and prices. Highly recommend!! We were welcomed with open arms at this dealership, and greeted by Steven. The team was very respectful and knowledgeable which we appreciated. We look forward to doing business here again and will recommend anyone to this amazing dealership. 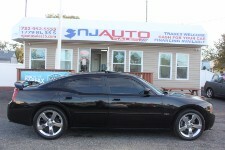 There cars are very well maintained and clean. The process was quick and effortless with the paperwork thanks to Sandy and we were in and out with our new Ford Mustang in no time. 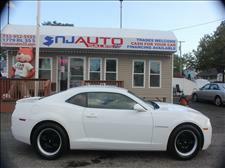 Thank you NJ Auto Sales for getting me in this gorgeous car! 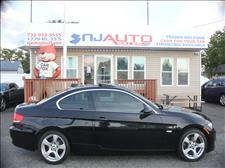 Steven from NJ AUTO SALES Hooked me up with an amazing BMW for a great price. The entire lot has a great vibe. Amazing people are there too hook it up!!!!!! 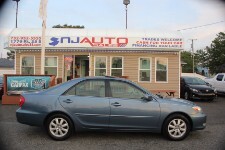 Just got two new cars from here sold to me my Steven!! And they are amazing and the prices great. 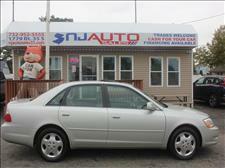 I'd advise anyone in the old bridge/Matawan/Sayreville area to come here to get a nice used car. I have never been to a dealership that was so friendly. we spent barely an hour at the site and in that time handling so much. We did a test drive, found financing, and signed paperwork. long story short we left with the car my wife has been dreaming of. Steven was amazing! we felt like we knew him for years. i recommend this dealership to anyone who is looking for quality cars service and a decent price. Happy with my purchase!! 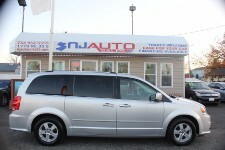 Steven and Sandy are very nice and were very informative about the vehicle of my choice. 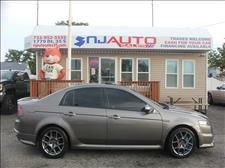 If you want a cheap car look else where if you want a GREAT car this place is to go!!! The cars are clean nicely detailed they even smell good (not like others dealers) I will be definitely be coming back in the future. You won't regret it I know I don't .. Thanks again Steven and Sandy!!!?? My experience at this dealership was beyond excellent. Steven was very thoughtful and courteous. He made the process very easy and I was impressed at how clean all the vehicles are. He went over all the specifications of the car and showed me how to use all the features. The transaction process was very simple and efficient. I highly recommend checking this dealership out you wont be disappointed. Great staff... Everyone was very Patient and Courteous in answering all your questions in such a Professional manner. 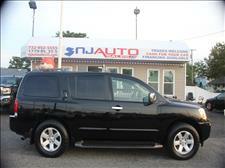 They have really made purchasing a vehicle easy and less stressful... I have already recommended this dealership to others already. Keep up the Good Work...!!! 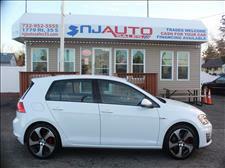 Great dealership, quality vehicles and competitive pricing. Stephen is a great sales agent and the rest of the team made the purchase effortless. Thanks again. Would recommend. 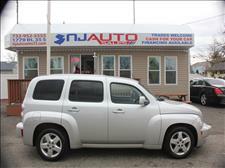 My experience at NJ Auto Sales was an excellent experience. Steven was excellent and a pleasure to work with. He was very professional and helped get me into a gorgeous truck. He showed me the carfax and specs of the car. 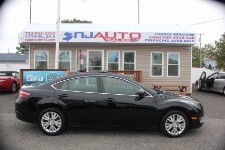 Sandy helped expedite the paperwork and before you know it I drove off the lot and got a great deal.I would highly recommend anyone to come you wont be disappointed ask for Steven he will make sure you are comfortable and you will be in good hands with NJ Auto Sales overall. Ten Stars across the board! My experience was terrific. Steven was very friendly and very warm. He did not pressure me in any way. I came for a specific vehicle. 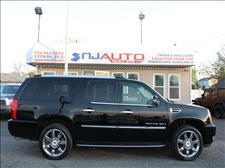 Once he shown me the Cadillac Escalade ESV I was amazed at the vehicle. The staff was great. Habby was great to work with. He went the extra mile in get me a loan that I can deal with monthly. Sandy made sure that I was comfortable with my purchase. Steven made sure that I was happy while I finalize the paperwork. The atmosphere is a family-friendly and they are not trying to beat you. 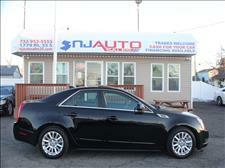 I would recommend NJ Auto Sales of Route 35 to my friends, family and associates. 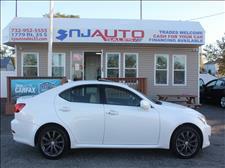 Great, friendly service and a wide selection of cars. This dealership is amazing ! You will find something here for you and the prices are fantastic. Please visit them today . 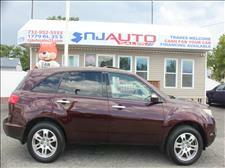 The staff was very friendly and helped me pick out just the car I wanted. This is a very safe and happy environment and they go above and beyond to make sure that you are a satisfied customer. 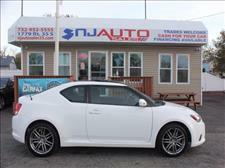 Would recommend NJ Auto Sales to anyone looking for a car and would definitely go back again! Steven and Habby are awesome! 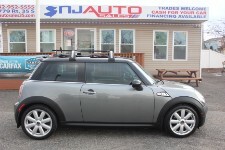 We had been lookong into buying a Mini Cooper S for a while and I have to say... No one came close to their price. Service was exceptional and very fast! Would definitely recommend them. Went in off of a car I saw online. Made it 30 minutes before they were supposed to close. They were so nice. Very very friendly to my family and I. Weren't pushy in the slightest. The car buying experience was probably the best I've ever experienced at any dealership. Ever. Definitely recommend checking them out. 4.0 star rating 5/21/2017 Very kind and helpful.Stayed after hours to finish paperwork. 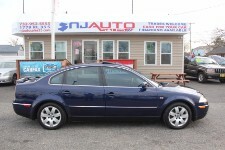 I would recommend to family and friends.Price was fair and vehicle runs good. Amazing, amazing, amazing! Steven approached us as soon as we stepped out of our car with a natural greeting that had nothing to do with sales. His no pressure approach caused us to be engaged and we knew we would buy a car from him just wasn't sure on which we would decide. Steven introduced my wife and me to Sandy and Habby, such a great team of leaders who knows how to meet the needs of customers. 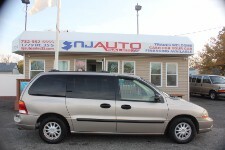 We did not purchase our vehicle on the same day, however, other dealers in the area failed miserably in comparison to the experience we had at NJ Auto Sales! Deep down inside I knew I was supposed to buy my car from them. Surely, when I returned they worked out a deal that took me out of a 1yr finance situation and blessed me with a great deal merging my already existing loan. Hands-down, the Best buying experience I've ever had! Shout out to Steven, Sandy and Habby! Thank you! Everyone was Great! Nice and easy Transaction. They worked with me to get me into the car i wanted. Couldn't be happier with my purchase. 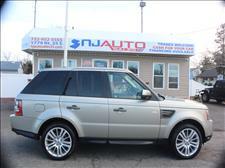 Thank You NJ Auto Sales !! Keep up the Great Customer Service! The staff was amazing Steve walked me through everything about the car I wanted. They are a great place for business. 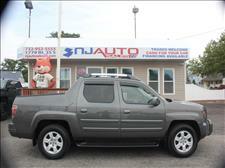 Habby and Brandon were very friendly, knowledgeable, and experienced. The paperwork was quick and effortless. It was a pleasure doing business with them. 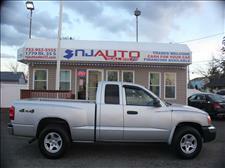 I would definitely recommend N.J. Auto Sales to anyone looking for a great car or truck. Sandy and Habby made my buying experience very well worth it ! 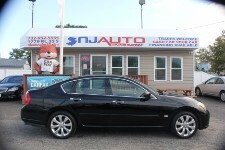 They were very patient and helpful and were able to accommodate all my needs. No complaints with my purchase .. highly recommended! The owners were great, along with Steven who walked the lot with me showing me the cars. 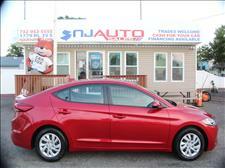 The entire team was very hospitable, and knowledgeable about the car of my choice. 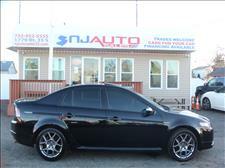 I would go to NJ Auto Sales if needed in the future. May God continue to bless their business. 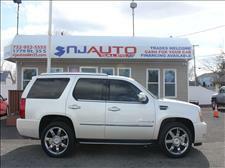 Just bought a Beautiful Pearl White Escalade. I saw all the great ratings and was skeptical but they deserve nothing less. I bought it on march 5th and decided to give it 30 days to see what the after experience was going to be like before I I give feedback. What made my purchase worthy of a review was the service: 1. The knowledge, especially the unbiased, non aggressive knowledge. You don't see that too often especially with ill trained salesmen on other dealerships that try to get you in the door so they could use some tactics. It was about 4 -6 long phone calls asking about the car and it's specs and comparing what I saw online and Habby was brutal honesty al through out. 2. 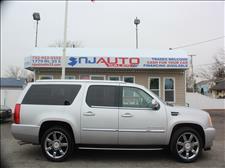 They made me and wife feel great the day of pick up, answered all our questions got us in and out in less than hour including the paperwork, and explaining the different financing options, warranty options and showing me the other features of the escalade I bought. 3. I didn't have that feeling that I sometimes have the next day, because they made it more than just providing great service it was about an experience, I've worked in service industry for quite some time, and I can say that this was an amazing experience. Upon arrival, the car was placed out in the open for my inspection. After a short time I was greeted by Sandy. She went over the car in great detail. After the test drive, I decided to purchase the vehicle. We went over the Carfax together, and she processed the paperwork efficiently. 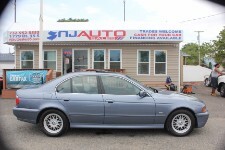 I travel a distance to get to NJ Auto Sales and I would recommend this Dealer. Over all experience was very pleasant. The staff was not pushy And worked with me on a fair price. Steven provided me with a car fax and history of the vehicle. Overall I was very satisfied. 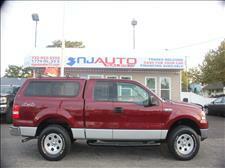 My wife was happy she got the truck she desired and was pleased wit the deal I got. Very satisfied. 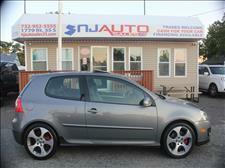 Great car at a fair price. Sandy and Habby were helpful and knowledgeable. The professionalism here is far and away more than you would expect from a "used car lot" I was comfortable after about 10 minutes of conversation. Highly recommend them !! We ended up at this dealership just passing by it. So glad we stopped here. From the minute we entered the lot, we had a wonderful experience. We were greeted by Habby, who was extremely personable, polite, and exuded friendliness!! He listened to what our son was looking for, taking into consideration our budget, and directed us to a vehicle that had our son smiling from ear to ear! The process was smooth, quick, and hassle-free! Each employee worked together and spoke to each other with respect. We had our mechanic check over the car, and all checked out with a thumbs-up. 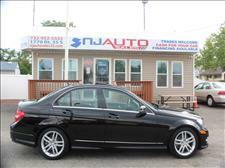 A five star experience at NJ Auto Sales! We will return to them if the need arises for us in the future! Best experience at a dealership I ever had. Was looking to get myself my first car and I came across this dealership. After going to multiple dealerships, I thought this was going to have the same outcome as the others. 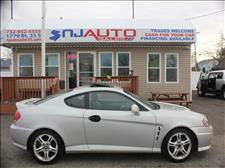 I show up, they run my credit, and try to take my money....but no, NJ Auto Sales was totally different. They actually got to know me, and got to sympathize that I'm 19, and that this was going to be my first car. I would honestly recommend any teenager who is looking for his/her first car to come here. Best experience I've had, Thanks again. 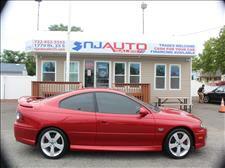 NJ Auto Sales was an excellent choice for buying my first car. I was approved quickly. The staff was friendly and very helpful. 10/10 recommend to everyone! 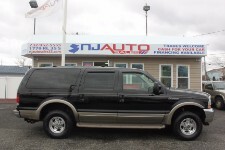 My husband has always had a Ford F-150 and when we needed another one, we came to NJ Auto Sales to purchase our 2007 Ford F-150 and are very satisfied with the transaction! These people are reputable, honest and down to earth. No one pressured us, or hovered over us (unlike other places). We took our time inspecting the vehicle and all our questions were answered right on the spot. The test drive went very well and we even learned more about the vehicle as we went along. If you need a vehicle, this is the place to go. 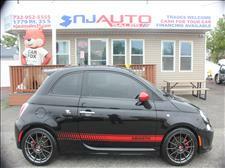 Thanks NJ Auto Sales! After an extremely terrible experience two weeks prior purchasing a death trap vehicle from another used dealer i couldn't be more pleased satisfied and confident that i made a great purchase this time. I love my vehicle and know its safe for my family. I would recommend this dealer to everyone. They are personable...real people, with the same life as anyone else. 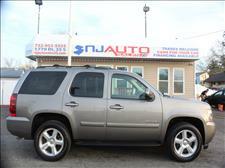 This was my first time buying a vehicle through a dealership and NJ Auto Sales helped put my stress at ease. The atmosphere in the dealership was very comforting and the staff was very friendly and went out of their way to help me. I was greeted by Sandy who was extremely polite and knowledgeable about the inventory and she also helped me weigh all my options. She was very professional and really made this process pleasant and relaxing. 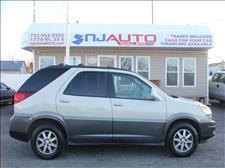 They have a wide variety of inventory and their cars are very well maintained. The finance manager Habby got me a great rate and made my monthly payments lower than what I was budgeting. I was discouraged because of my credit history, but Habby was able to make it happen and now I am working on increasing my credit again. 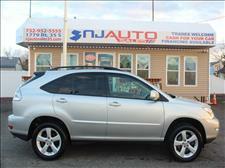 Thank you NJ Auto Sales for helping me through this process and giving me a great deal I love my luxurious Lexus!! 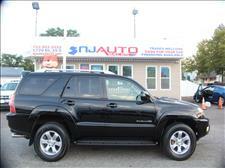 The car shopping experiences was easy and pleasurable and outstanding Customer service. Very pleased with NJauotsales35. They went above and beyond to make it possible for me to purchase the car my daughter wanted. Very professional and accommodating. I first met with Stephen, who I think is new to the business (but was extremely professional, down to earth, not pushy ..) and after overhearing my requirements as a mother of a teenage driver, Habby spoke to me about other vehicles that would be safe,etc. and explained why ... at the end, I did get the car my daughter wanted. I would recommend purchasing a vehicle from them. The staff was super helpful and accommoding. Steven walked through the entire lot with me going over the specs of each car in my price range. So happy with my civic. Habby and Sandy are great, honest, and very patient people. Will work with u till the end. No complaints about my vehicle. It was such a pleasure doing business with them. 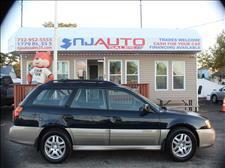 Very good dealership, I strongly recommend this place for whom looking for good quality used cars. I bought my first car from here and it's in very good shape. 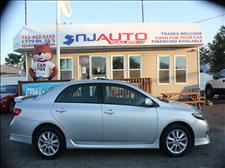 They provide you good servings and also provide every details from Carfax. Five stars for no doubt. I had a great experience and would recommend anybody to come to this dealership. Steven was the coolest and most professional sales person. He was highly intelligent and helped me find the right car for me. 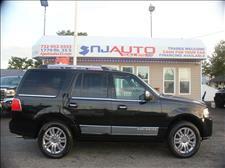 The staff was very nice and knowledgeable definitely coming back for all my future vehicle needs! Thanks! Couldn't have been treated better!! Thought after my repo I would never get approved! Habby and Sandy got me a loan and really helped me out! Now a days it is hard to find such genuinely nice and caring people! 100% recommend these guys! Wonderful people. 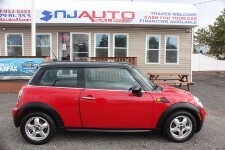 I bought a Mini Cooper. They were pleasant professional. I would highly recommend them. My sales person was Steven He was the best!!!!!!!! 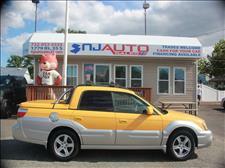 I've been looking for a Subaru Baja Turbo with a manual transmission for months, found it here at NJ Auto Sales. These guys have definitely changed my opinion on used car dealers, they were not pushy and even got me a really good deal; being a younger person with little credit background. I highly recommend these guys! They took very good care of me. I highly recommend anyone to do business at the dealership. Sandy and Stephen could not have been more accommodating, professional, and personable. Looking forward to buying there again. Would recommend them 100%. Thank you!!! Just purcahesed first vechicle for my son today. 11/19/2016. Vechicle is in very good conditions. Very impressed. Mitsubishi 2005 Lancer. Let's see! A small family run business which makes you feel right at home. All questions asked were carefully answered. All documentations and carfax were produced. No hidden costs or prep fees were associated with the purchase. The business facility is very homey, clean and comfortable. My wife and I were even treated to coffee and madlin cookies. In an effort to satiate our concern about buying a used vehicle, a 3 month powertrain warranty was given. Will most certainly recommend this dealership to friends and family. I bought my very first car here,Honda civic si, and I love it. Drove from CT to NJ to conduct business with these wonderful people. Great group of people, made my experience very seamless. Traveled from MD, and NJ Auto Sales made our trip worth it. Thanks Sandy! This was a very professional place with lovely employees. I found just what I was looking for. This process was easy, the people were kind, helpful, and informative. I was welcomed immediately at NJ Auto Sales. They were very friendly and courteous. They were very patient in showing me their huge selection of quality vehicles and did not hesitate to show the carfax on any of their cars. Finance rates were very good and they were very professional with the overall process. 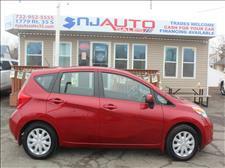 Prices are also below other dealers in the area. Definitely worth checking out! 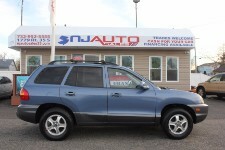 Thank you NJ Auto Sales for my new car!! We will be coming back! Best buying experience yet. My husband loves your car he washed and wax today looks beautiful! Not only were they persistent with being able to have us drive away in a car the same day , they were also very accommodating/understanding. I highly recommend this dealership to anyone seeking to buy a car . 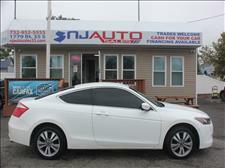 Regardless of my bad credit , Sandy reassured me that we would find a bank to finance my vehicle . 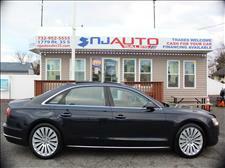 The team at NJ AUTO SALES are very friendly they welcome you in open arms. I bought a 2012 Jetta a couple weeks ago and I have no complaints. They said they would put me in a nice car and that's what they did. They will work with you so you can be in the car of your dreams. Love how they have a wide variety of cars from basic Hondas to luxury Mercedes. 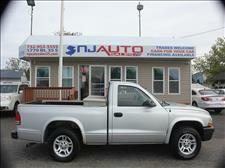 Highly recommend NJ AUTO SALES for first time buyers or even ten time buyers. Very nice dealing with Habby and Sandy the whole buying experience was no pressure . 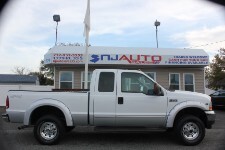 Just bought truck today so we will see how the truck is and IF there were any hidden defects I will surely yelp it but as of now truck seems solid and Habby seems to want to build a good business so I do not think he would intentional miss represent a vehicle. 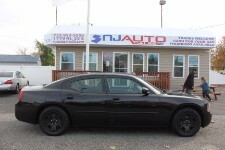 I am pleased with my 2 cars I bought for my sons from NJ Auto! Sandy was very helpful and professional. 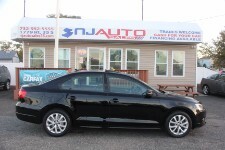 I was very pleased that NJ Auto is a car fax dealer. They made the process of buying used cars a pleasant one. Thanks Sandy and Habby! 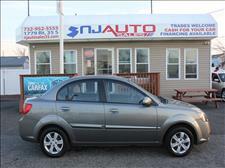 I just bought a car from NJ Auto Sales and I'm extremely pleased with how everything went. 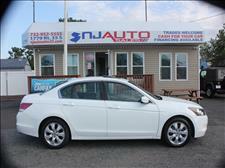 The whole staff Habby, Sandy, and Steven are very professional and make the whole process of buying a car an easy one. They make you feel comfortable and were never pushy! 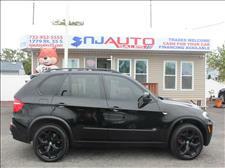 I highly recommend you to come check them out for your next car! I have to say that I think this was by far the easiest car buying experience I ever had. Habby was extremely helpful and understanding. 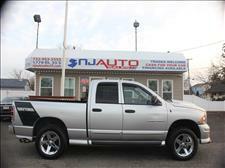 Purchased a great truck at a great price. Will definitely consider coming back in the future. Thanks again for everything you did for me. Excellent people to deal with . 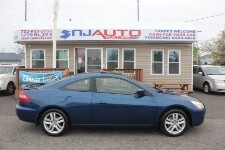 No no hassle no haggling just a fair deal Just wanted to say thanks to Habby and Sandy for selling me such a great car! Found them by accident and so happy I did. The buying process was fair and easy. I called, visited, test drove, and bought the car in record time. They honored the online pricing that I saw. The car was exactly as advertised. No hidden surprises or disappointments. My daughter loves the car!! Have already recommend them to 2 friends in the market!! 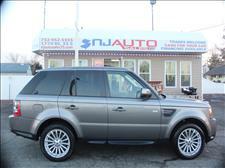 The people at NJ Auto Sales were very nice. They seem to have a large inventory and the lot is well maintained. There was no pressure to purchase, and they were very patient while waiting for information to complete the sale. Very happy with my car. Not only did I receive exceptional and courteous treatment, Sandy and Habby went out of their way to accommodate me in every aspect of the purchase of my daughter's vehicle. It was truly a pleasure! Loved the dealership. They sell excellent cars. Was a fast and unstressful experience. 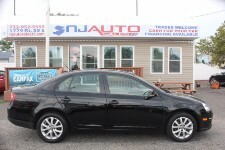 I recently bought a 2010 Volkswagen Jetta from NJ Auto sales and the process was very easy going. Great service! 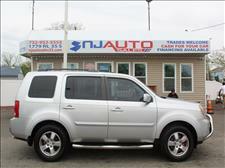 NJ Auto Sales was a very easy and no hassle dealer. I texted sales rep, Steven about the car I was interested in. He invited us up for a test drive and just like that we were driving home in our new car. Staff is very professional and personal. 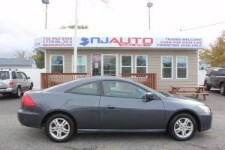 We bought a car from NJ Auto Sales, and the experience was nothing but stellar. 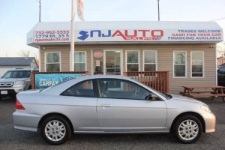 Habby, Sandy and the rest of the team at NJ Auto Sales treat their customers as if a family member of their own is about to drive one of their cars off of their lot; empathetic, personable, professional and caring. We highly recommend them for your next car purchase! 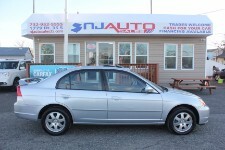 I just purchased a car from NJ Auto Sales not less than 24 hrs ago & I am extremely satisfied! I've been to plenty of used dealerships in my life, and they are all the same...just hungry for a sale. 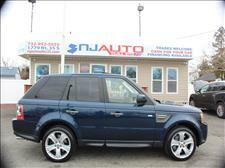 However, the staff here at NJ Auto Sales... COMPLETELY DIFFERENT!! They didn't try to sell me the most expensive car in the lot, or try to up-sell me stuff that I didn't need, nor want. They listened and paid attention to what I was looking for. Everyone here is so friendly, I would highly recommend them to anyone looking for a used car!! 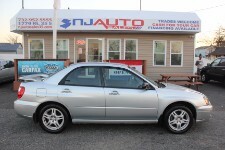 I purchased my car from NJ Auto Sales about 1 week ago. I walked in with a strict budget and looking for the most sensible car for my needs. My experience over all was very satisfying. 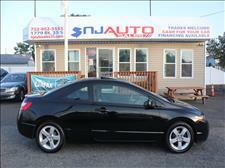 Steven and Habby were the two individuals who helped me find the perfect car. They were very pleasant and patient individuals who spent hours with me and my boyfriend to find us exactly what we were looking for. 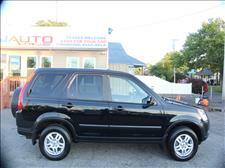 After the selection, they worked to get us the best deal in terms of financing the vehicle. Over all I am super happy with my car and would recommend these guys 100%! 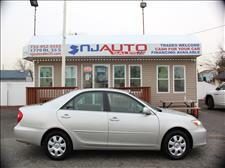 Great experience at NJ Auto Sales. Steve and Habby were so professional and personal it made me and my son comfortable and relaxed in making our decision on a major purchase. Habby was very understanding in that time was the essense and completed all paper work promptly. 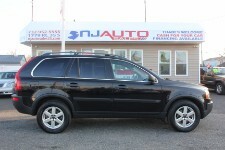 I plan on informing my friends and family about NJ Auto Sales and their great selection of vehicles and professionalism. I plan on returning to check more of their inventory of fine vehicles. Thanks again Steve and Habby! The salesman Steven was very helpful along with his boss Habby . I would definitely go back for my next car. 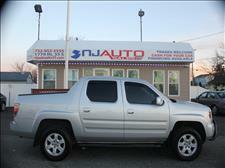 NJ Auto Sales is the best place to go to buy a car. They are the most nicest, friendliest and helpful dealership I ever go to. I called the morning to come see the car and I reach there like an hour later and the already have the car ready and waiting for me. BEST DEALERSHIP EVER!!! You will not regret going there trust me. I would recommend everyone to go there. They greet you with open arms and treat you like you would want to be treated. Thank you Sandy, Habby and the rest of the crew you guys are the best. 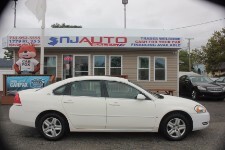 Our buying experience at NJ Auto was a pleasure and dealing with Sandy and Habby was a very nice experience as they were very helpful and knowledgeable of all the cars that they sell. 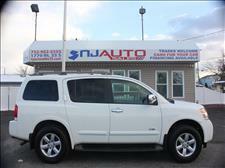 I would definitely recommend purchasing an auto from NJ Auto sales. I recently purchased a 2003 Honda Civic Ex. Easy process. In and out within a hour or 2. The Manager gave me a great deal. Great experience!! They were honest and straight forward. 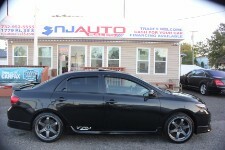 I purchased my car from NJ Auto Sales and I do not regret it a bit. They went out of the way to make sure I was happy with my purchase. I will be coming back for another car when I'm ready. This dealer is great. The dealer is very negotiable, very likable, and very nice. 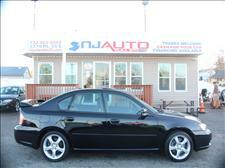 Great quality cars and keeps their cars under high maintenance. Every car mentioned to me had gotten their oils and tires changed within recent time. Definitely recommend them. 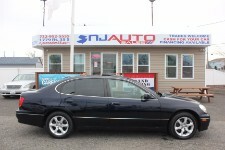 I recently made a purchase of a 2006 Infiniti with NJ Auto Sales. Habby and Sandy were very helpful and patient with my car purchase. They did not make me feel pressured into purchasing. They promised they would make it work for me and they did. I would recommend anyone to purchase a vehicle from them they will not be disappointed. 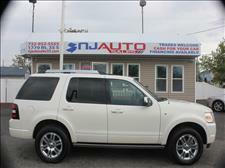 I would highly recommend NJ Auto Sales when searching for a used car. 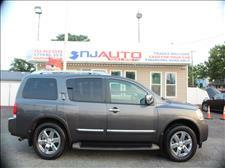 I have been to other dealerships prior to being recommended to come here by my family. No other place has made me feel as comfortable. 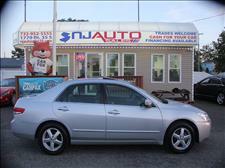 Both Habby and Sandy were very helpful, friendly, and patient and never too pushy. I enjoyed the whole buying experience and would definitely shop here again. 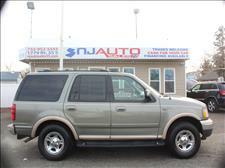 I would recommend anyone in search of a used vehicle to shop here, they will not be disappointed! Seamless sale...great people to work with. Not pushy...delivered what they promised. When we lost both of our cars in a matter of days, we were forced to start a search to purchase a used car in short order. We asked our trusted mechanic for a recommendation and he pointed us to Habby and Sandy to assist us in our car buying experience. 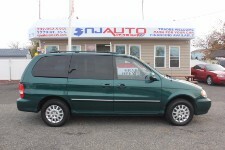 My wife and I went to the NJ Auto Sales lot to look at cars. Since we didn't know exactly what we wanted, we went through our list of wants and needs in a vehicle and Habby did not give us a hard sell. He listened and gave us the pros and cons of the vehicles which we put in the "like" column. Over the course of the next 2 weeks, we were constantly in contact with Habby about makes and models until we narrowed down our choice to 2 vehicles. While Habby did not have those models on hand at that time, he assured us that he would work with us to get the car we wanted with the specs we were looking for in our price range. After 2 weeks, and our hemming and hawing, we chose a 3-row SUV and within a day, Habby had been able to find the model we were looking for in our price range. When we went to check out the car he had for us, it was in great condition and had everything we were looking for. 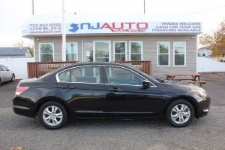 We can't say enough about the positive experience we had with Habby, Sandy and the crew at NJ Auto Sales. From beginning to driving away after our purchase, we were treated like customer #1. 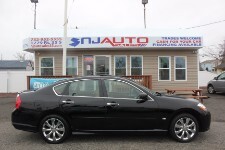 We will be highly recommending NJ Auto Sales to all of our friends and family who are in the market for a quality used vehicle. 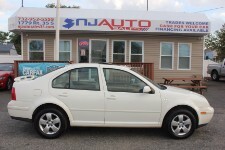 My name is Jon and today i purchased a 2005 jetta. First off, i love the car! 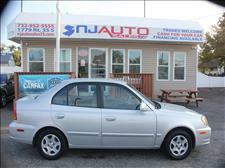 Its in great shape, runs great gas mileage is unbelievable and it was a great deal. 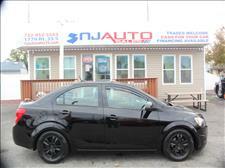 Secondly, if youre thinking of buying a car, goto NJ Auto Sales in South Amboy NJ. They have a good selection of cars, affordable, good condition, and to be honest the best part of being there was the people! Habby and Sandy are knowledgeable, honest, polite and are there to help. I am definitely going back there to purchase future vehicles and will send family and friends there!!! Thank you guys for all your help! Satisfied Customer, Jon 2005 Jetta. 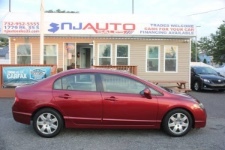 Sandy is an awesome Saleswoman, she is very knowledgeable, relaxed, friendly, and not pushy. 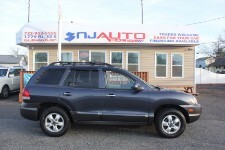 I loved my experience at NJ Auto. Habby did a wonderful job in dealing with the finances everything was smooth and cost efficient. He too is very knowledge and took the time out to talk person to person and not as a salesman. All the prices for their stock of cars are reasonable and worth every single penny. I purchased a 2006 Jetta and 6 days and 200+ miles later the car has zero problems. 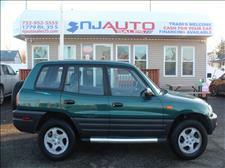 Engine is fine, wheels fine, brakes need changing, heat is heaven, crisp interior, and 6 cd changer is awesome. 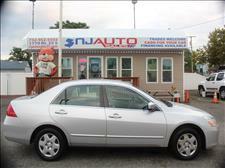 The car was maintained very well by their on the spot service agents. 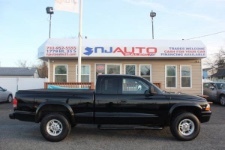 They are located roughly 50 miles away from my house and if I need to buy a car or need to recommend a friend an awesome dealer then NJ Auto will be the place. Habby and Sandy are by far the greatest people I have met along my journey for a new car. This couple went beyond their way to help me get the car that I wanted. I loved this place and the people who worked here. I will definitely have to go back. Amazing service and always smiling! Truly a great experience. Best dealer I've ever been to got me a great deal on the car I really wanted and car is great. The best place you need to go to, to set yourself up with some hot wheels. I felt right at home when I was purchasing my new car. The prices they have are so low, YOU might buy 2 cars leaving the lot, but you'll have to find a way to get that second car home. 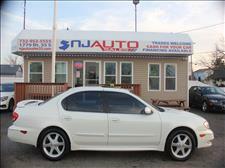 Do yourself a favor if you want a nice car with a great price, stop by NJAUTO. Tell them i sent you so YOU can get the same deal i got. Right now I'm driving a BENZ, wouldn't you like to drive one to. 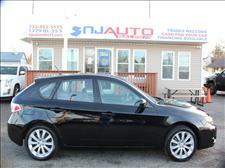 I worked with Habby in purchasing a car from NJ Auto Sales, and have to say he is one of the nicest car dealers I have bought a car from. From the start he was authentically friendly instead of pushy. After the purchase, I had a minor issue with the vehicle from it being a high mileage car, and he was more than helpful in the situation. He was great to talk, and did a great job resolving the issue. I found him to be very honest and upfront about everything. I would definitely recommend buying a car from him. 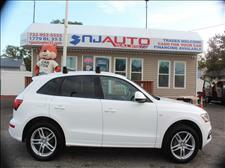 Thank you Habby & the NJ Auto sales team for the fantastic buying experience. My wife & I were first time used car buyers and prior to you, were not pleased with the treatment from the "other" businesses we went to. When we pulled up, we were greeted with a handshake(Thank you!!!) Your team really put us at ease with their knowledge, professionalism & honesty along with the quality of your busness & the vehicles. We love the car and really appreciated you working with us. Great job & highly recommended to all!!! My wife and I are car enthusiasts, specifically in American muscle and sports cars. 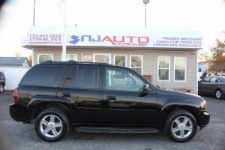 As our family got bigger, we decided we needed an SUV to meet the needs of our growing family. 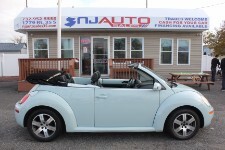 Our search lead us to NJ Auto Sales, where we met Habby and Sandy. This was truly a great experience. The lot was easily accessible, especially to someone like myself who is not from the area. Habby and Sandy were very friendly, and their office was clean and modern looking inside. They were very open to giving my wife and I space as we decided on buying the truck. Habby was not pushy and was 100% honest at all times. They were not pushy and let us look over the vehicle and test drive it. We decided to purchase the truck and it couldn't have been easier. A bonus is the fact that upon getting the truck to my local mechanic, he praised the condition of the vehicle and the price was great! 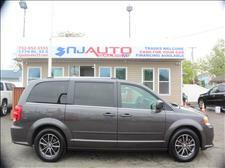 Very friendly staff, not pushy and helped our family get a vehicle we will enjoy for decades. 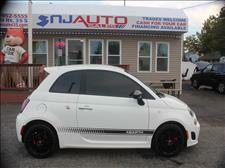 I would recommend NJ Auto Sales to anyone! My parents have recently purchased a vehicle from NJ Auto Sales with the help of Mr. Habby Younan and his lovely wife Sandy. 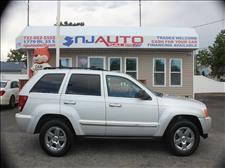 This was a great experience and we would definitely refer anyone who is trying to purchase a used car in great condition and low mileage. My family and I have dedicated an extreme amount of time searching for the best vehicle available for my mother to travel to and from work and once we met with Habby and Sandy, I automatically knew that search was over. 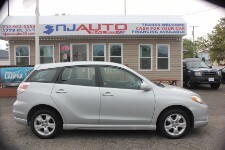 From the first point of contact to when we met in person, the NJ Auto Sales team did a tremendous job being very communicative & transparent and making sure that the business side of the process was very clear and understandable to my parents, who are not so fluent in English. Thank you so much for helping us purchase this great car, my mother is extremely happy with her Volvo and is now looking forward to snowy days in her AWD car and sunny summers with her fully functioning AC. Wish you guys the best in the future! My husband and I were looking for a car for our daughter and we stopped by there lot one night. They were so friendly and had a great selection of good cars. 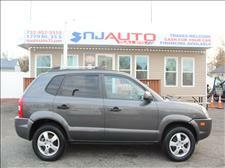 We went back the next day and purchased a Hyundai Santa Fe for our daughter. When we picked it up the car it was immaculate. We are so happy with the purchase. Great car and great people! 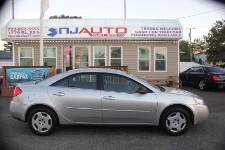 Place to go for a great used reliable car!!! Highly recommended!